Tourist arrivals for the first eight months of the year rose 12.5% from the same period last year. The Government slashed its target for tourist arrivals and revenue for this year after a record 2017, citing anti-Muslim violence and an outbreak of dengue fever. 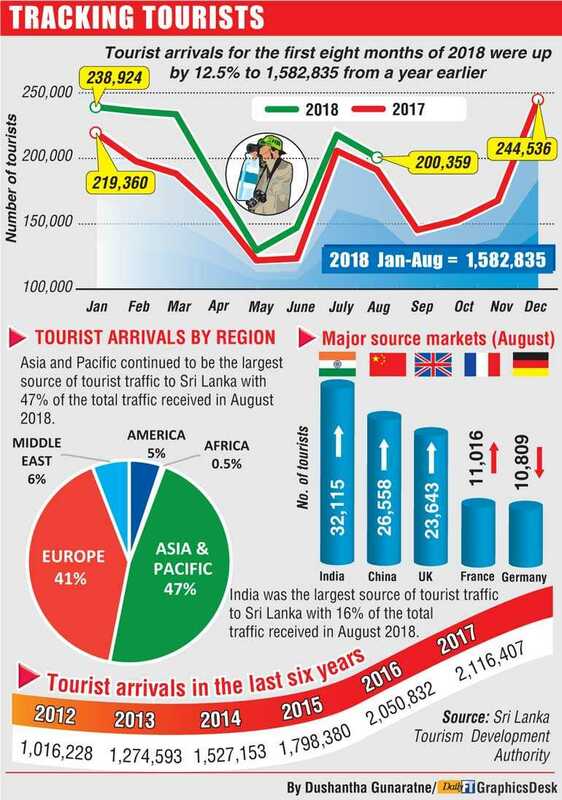 Tourism Minister John Amaratunga in April said 2.5 million tourists were expected, down from an earlier estimate of 3 million, generating $ 4 billion in revenue. Tourism accounts for nearly 5% of Sri Lanka’s $ 87 billion economy. In March, the Government declared a state of emergency in the central district of Kandy after a riot in which mosques and Muslim homes and businesses were destroyed.